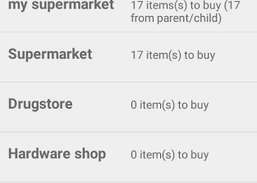 Manage your shopping lists on your Android device. 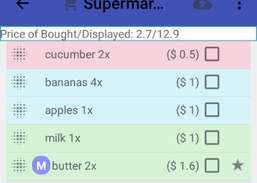 Organize shopping lists into shops. 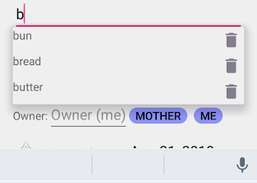 Autocomplete for entering items so once you enter something you never have to type it again. When shopping, the items are sorted in the order defined for the shop - so you shop from top to bottom of your list without running there and back in the aisles. 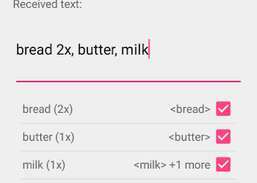 The shopping lists can be synced across multiple phones/tablets. 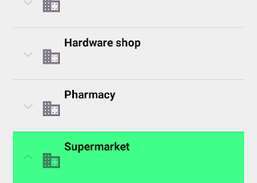 You can have a tablet in the kitchen for writing what you need to buy and do the shopping with your phone, with the shopping lists synced automatically. 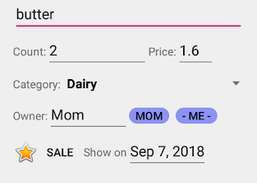 Import shopping lists from any text, such as SMS or e-mail, so if your mom needs you to buy something for her, she can text you or send you an e-mail, no need for a smart phone. 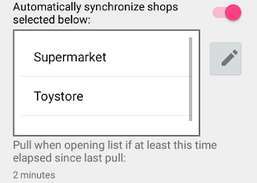 The import is smart, with suggestions for items it knows. See the price of the items you bought. 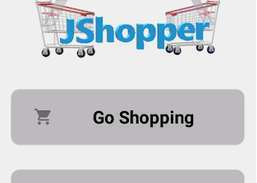 Share your shopping lists with others - it's easy to buy something for a friend or relative if you both use JShopper. Browse weekly sales at your favorite location to find the latest deals.